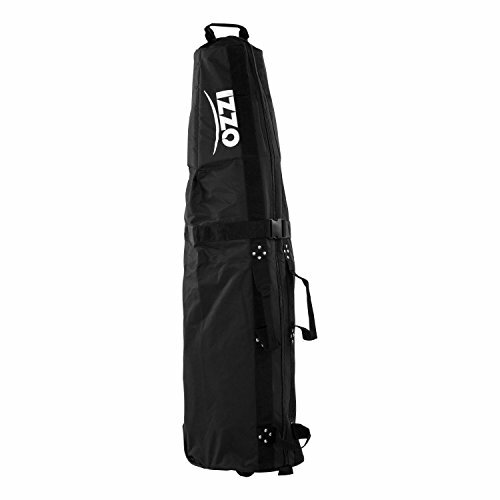 Izzo Golf's Two-Wheeled Travel Cover is constructed of durable nylon and features 2 inline wheels, padded soft-case protection and a generous interior space that holds a full size cart bag and clubs. Expands to 53" tall and collapses down to 8" for easy storage onced you've reached your destination. Will satisfy all your basic transport needs at an affordable price. Includes a business card holder for identification. Color: Black.